After months of individual sovereign downgrades by the three leading ratings agencies, S & P has now entered a quantum leap by placing almost the entire Eurozone on a credit watch, including the behemoth economies of Germany and France. Furthermore, Standard & Poor’s followed up by placing the European Financial Stability Facility, the vehicle for supposedly bailing out problematic Eurozone sovereigns and banks, on a negative credit watch. The fact that even the EFSF is on the verge of a downgrade, along with potentially almost all the sovereign states using the euro, is proof positive that the Eurozone debt crisis is irreversible, the politicians have lost control, and when the inevitable downgrades follow this devastating credit warning from S & P, all hell will break loose. In the meantime, the clownish politicos of the Eurozone continue their interminable series of emergency meetings, continuing to promise a final and complete solution to the Eurozone debt crisis. However, in a rare moment of candor, German Chancellor Angela Merkel admitted that at best, a solution was years away. Given all that, will China and the other BRIC nations, along with private investors, really want to invest in Euro bonds? The figures for China’s purchasing managers’ index (PMI) for November registered a mere 49 points, according to the China Federation of Logistics and Purchasing. This figure represents a contraction in the crucial Chinese manufacturing sector. It has been due to its role as factory to the world that China’s GDP has been propelled to the second largest in the world. The latest PMI has been amplified by a similar index compiled by HSBC, which is also reporting a contraction in the industrial sector. This dismal news on the supposedly rapidly growing Chinese economy is being attributed to a decrease in exports to the Eurozone countries, now mired in an ever-worsening sovereign debt crisis. The data on China’s PMI is the worst since February 2009, at the tail-end of the free fall contraction in the global economy after the onset of the global economic crisis in the fall of 2008. The Chinese political leadership is clearly worried about the spillover effects of the Eurozone debt crisis on China. This has led to some radical about-turns in economic policymaking. Concerns about inflation and banks with a significant portfolio of bad loans have been discarded. The authorities in Beijing are again focused on growth at all costs, involving the loosening of monetary policies and requirements on Chinese banks for minimal provision for reserves against bad loans. 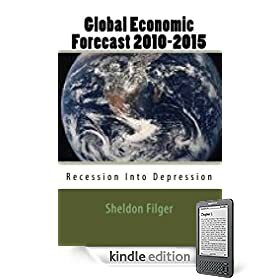 However, with a much smaller proportion of its economy driven by domestic consumption compared to the Eurozone, U.K. and U.S., there is only so much the government can do to induce growth at a time of stagnation or contraction of its exports to its largest customers. In the final analysis, China cannot go on indefinitely building uninhabited cities as a means of creating “growth” in its GDP. Despite all the talk in economic circles about the large economies in East Asia being “decoupled” from the advanced economies in Europe and North America, China is as much a prisoner of the impact of the Eurozone debt crisis as is America-just as Europe and China were prisoners of the subprime mortgage meltdown in the United States. In our integrated global economy, no one is immune to the effects of a legacy of bad economic and fiscal policymaking in Washington and Brussels, least of all Beijing. Global Financial Crisis Claims 535,000 Jobs In U.S.